Ongoing Positive Effect of Platelet-Rich Plasma Versus Corticosteroid Injection in Lateral Epicondylitis: A Double-Blind Randomized Controlled Trial With 2-year Follow-up. Gosens T, Peerbooms JC, van Laar W, den Oudsten BL. Am J Sports Med. 2011 Jun;39(6):1200-8. Epub 2011 Mar 21. In several posts we discussed the lack of clinical efficacy for platelet rich plasma (PRP) injections on the Achilles tendon (see lists of posts below). In those posts, it was often noted that we cannot apply those findings to other tendons because of the unique structure and loading that each tendon experiences. In the current study, Gosens et al. conducted a double-blind randomized controlled trial comparing PRP injections with corticosteroid injections over a two-year follow-up among 100 patients with chronic lateral epicondylitis. Rather than performing a placebo-controlled study the authors opted for a comparative effectiveness study (comparing a new treatment to a more common one; which may be more ethical considering the patients had chronic pain). This article is a follow-up to a previous paper describing the positive benefits of PRP injections at 1-year follow-upcompared to corticosteroid injections. Patients received either a corticosteroid or PRP injection with a peppering technique into the common extensor tendon (needle is inserted followed by injecting, withdrawing, redirecting, and reinjecting without withdrawing the needle from the skin). The primary outcomes included patient-reported outcomes (i.e., visual analog scale [VAS] pain score, Disabilities of the Arm, Shoulder, and Hand outcome scores). The PRP group started the study with worse DASH scores compared to the corticosteroid group; however the VAS pain scores were similar. 65% of the PRP group and 35% of the corticosteroid group had successful treatments (based on a 25% improvement in VAS pain scores). VAS pain scores got worse among 9 patients receiving corticosteroids injections but only 2 patients receiving PRP injections. Similar patterns were found with the DASH scores. When the two groups were directly compared at each time point the PRP group had more pain 4 weeks after the injection but less pain at 26 weeks, 1 year, and 2 years after the injection. The authors suggest that patients with chronic lateral epicondylitis who are given PRP injections experience a greater reduction in pain and increased function compared to corticosteroid injections. The study reported no complications related to the PRP injections. This is a nice study demonstrating the clinical benefits of PRP injections for chronic lateral epicondylitis. It can sometimes be confusing when research articles have contradictory results. When this occurs it is important to step back and consider why this may happen. The two PRP studies with null results that we previously described were both in the Achilles tendon which is very different from the common extensor tendon (e.g., different structure and loading). It would seem odd for us to suggest that a treatment for the elbow region should work for the ankle but yet some people who are quick to promote or dismiss a treatment often do that. PRP injections seem to be a good example of a treatment that requires us to step back and appreciate that it may be appropriate for some conditions or anatomical locations and not others. From a research perspective an interesting question is also whether or not we can promote positive results to areas where the treatment typically fails (e.g., the Achilles tendon) by simulating the loading conditions the common extensor tendon experiences during treatment. I’m sure we will see more research verifying or disputing these results of the current study and it will be important to consider the similarities and differences in their treatments. 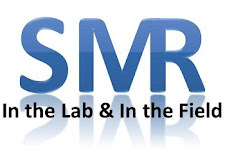 SMR will be tweeting live from the National Athletic Trainers' Annual Meeting next week (June 18th to June 23rd).